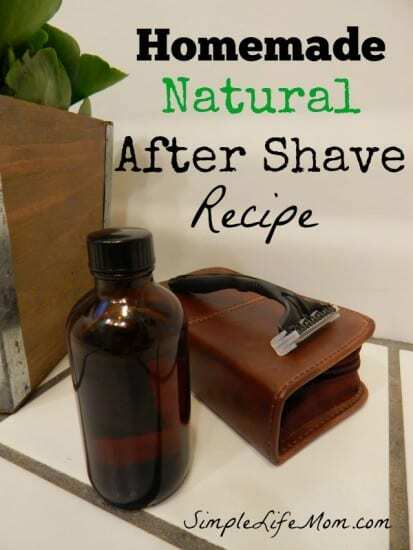 Whether for Father’s Day, Birthdays, or just a matter of taking care of yourself or loved one, a Natural Homemade After Shave Recipe is a great thing to know how to make. Plus, it’s great on women’s legs too! 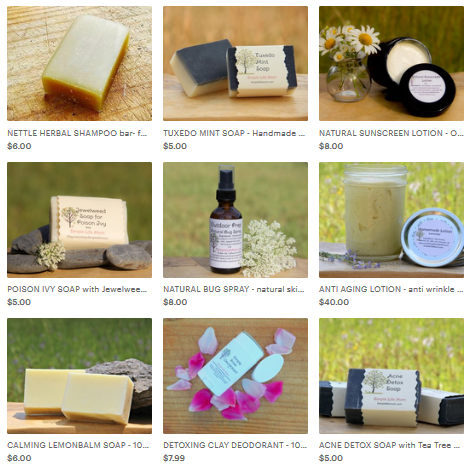 I started out making a lot of homemade products for myself. After all, no one else was probably interested. They wanted to either use whatever I gave them or wanted the particular product that they were used to. Plus, I saw myself as the guinea pig. After some time, though, I started to realize that everyone WAS on board for all the changes and they WANTED me to make them everything from lotion, soaps, to hair products. Guys definitely want their products to be natural too. 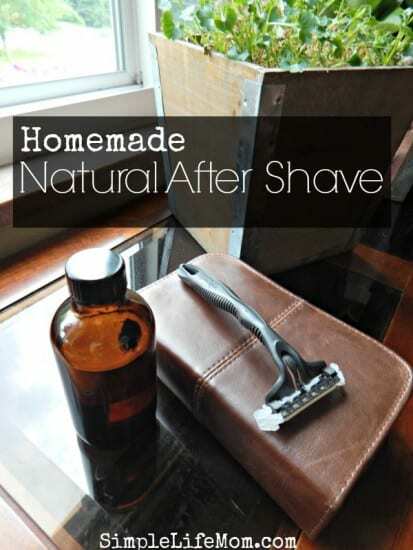 Making a Homemade Natural After Shave is really simple and just requires a few key ingredients to help soothe the newly shaved skin, make sure no irritation occurs, and shrink pores. Witch Hazel is a natural astringent. I prefer a non-alcohol version due to the drying out of the skin when you use alcohol. These will most often have citric acid as a preservative. Some citric acids are not natural at all so you have to do your research. I have used this Non-Alcohol version with Aloe. You can also buy your own Witch Hazel Leaf. You can pour boiling water of over the leaves in a jar and seal. Give it a shake daily for a week or so and it’s ready to use. Aloe is well known as a soothing plant liquid. It’s great for soothing burns, cuts, or abrasions, making it a great ingredient for an after shave. This is also something you want to make sure doesn’t have a lot of preservatives, but is as pure as you can find. This can be difficult, because most say it’s organic and then have a number of preservatives that are questionable. Here’s the one I use. Obviously, you can grow your own plant as well. Essential oils are an added benefit to a Natural After Shave splash. Lavender Essential Oil – your first go to with any abrasions. Lime Essential Oil – also an astringent and guys seem to really like the scent when combined with other scents like patchouli or sandalwood. Lemon Essential Oil – Lemon oil is also an astringent, tonic, and is an antiseptic. Rosemary Essential Oil – rosemary is traditionally known for its great effects on the skin. It is a great oil for hair follicles and protects against skin infections . Use other essential oils of your choice to change the scent to your liking. Like I said, sandalwood, cedarwood, patchouli, fir, benzoin are great choices. A great natural after shave splash to soothe shaved skin and prevent scarring or irritation. Combine all ingredients and keep in a dark glass bottle. Use a few drops after shaving to soothe skin. Follow up with a face oil. Make sure to follow up with a face oil to keep skin hydrated. 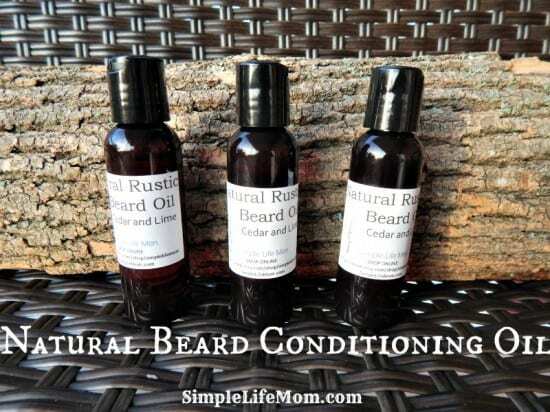 You can purchase both the Beard or Face Conditioning Oil and the After Shave in my Shop. I’ll also have to go over to find the Beard Conditioner recipe as my brother is a big fan of the bearded look. Thanks so much Ricki! If you have any questions, let me know. Thanks so much for sharing these at Savoring Saturdays, Kelly. I tried to pin the post to our group board, but it kept linking to the 4 Cheese Spinach Dip for some reason… :/ Sorry! Can I omit the lime eo in this recipe? I have everything else. Would I use the same proportions? My husband is loving your natural recipes. Yes, you can create your own scent. Hi Kelly. Getting ready to make this for my 16 Y.O. grandson. Question: Does this make 20 oz? 4 x 5 oz? OR 4 OR 5 oz? OR 4 1/2 oz? It is a bit confusing to me. Doesn’t seem like it would make 20 oz, but I’m not sure! Forgive the confusion, I just don’t want to be all ready to fill bottles and find I need 3 more 5 oz bottles and not have them!!! What do you recommend: dropper bottles, or …? It fills one 4 oz bottle, so you want to leave room for your essential oils. I would recommend a dark bottle to help preserve the essential oils. I think a lot of people prefer dropper bottles. 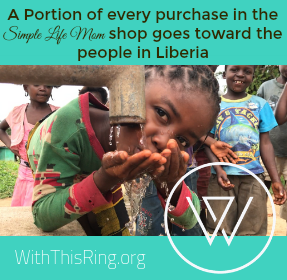 It’s easy to put the amount that you want in your hand and keep everything sterile. Thanks Kelly! I have about 4 different sizes of the amber bottles, and about a dozen each. So it will be fine! I, too, prefer the dropper bottles, although I know the E.O.’s break down the rubber..I still use them! Great recipe, and I’m also making the facial oil for him, too. I think he’ll like these. Could you use distilled water & witch hazel; or either of those plus fractionated coconut oil/sweet almond oil? You will have a separation problem with the oils and water, but you can always give it a try. I prefer to keep the moisturizer separate and allow the astringents to shrink the pores and soothe the skin before moisturizing. Are you concerned with photo sensitivity when using citrus oils? If I was to use citrus exclusively and consistently then yes I would want to be aware of creating a photosensitive reaction. Not all citrus oils cause photosensitivity. It depends on how they are processed as well. Do you have a preferred place or online store to get the amber color dropper bottles? I’m striking out all around me!